Those of you who travel a lot or are lucky enough to go on holiday every now and then know that public transportation in foreign cities and countries can be a hassle, and a rental car often proves to be a simpler solution. The same is true for professionals on business trips – in these situations renting a car is often a necessity. Europcar is the largest car rental company in Europe and one of the top three car rental companies world wide. Read on to discover how the official Europcar app performed during our test drives in our review below. Permissions: All permissions are required and essential for the app to perform as it should. 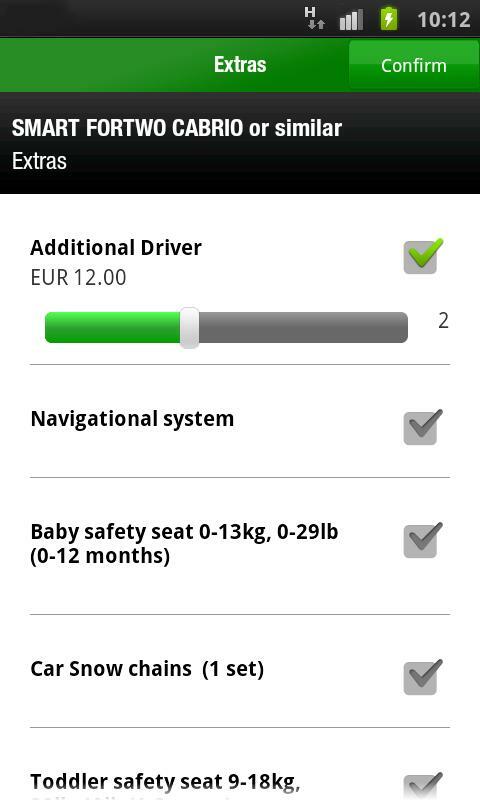 The Europcar app is 12MB and is easy to install. Station finder: It picks up your current location and displays the stations in your immediate vicinity. You may also do targeted searches for specific cities. Along with list and map views the app also has an integrated AR feature which starts up the camera and then uses the GPS, compass and position sensor to pick out the nearest stations, making finding a Europcar point very easy. Reservations: The app's centrepiece and the reason why most users will be using the Europcar app in the first place. It makes making bookings nice and simple. You start off by selecting a station and time frame and the app produces a list of available vehicles and their rates. During my test the station nearest me had everything on offer, ranging from a small Fiat to an Audi A6 or even VW van. 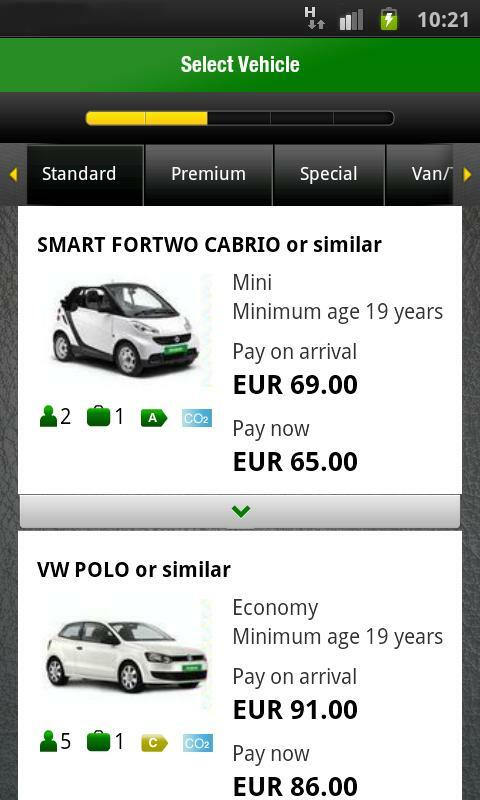 A great feature: you can compare Europcar rates with other car rental companies'. And: there is an option to check out every vehicle's features and extras. My Profile: The app stores you name and contact info as well as personal Europcar ID – provided you have one – which makes renting cars that much faster and easier. Further services: This is where you can get in touch for support or to notify Europcar of damages and the like. The car finder is also located here. This is a useful little tool that will allow you to take a quick snapshot of the vehicle and save its location via GPS, making it easy to find it again later on. 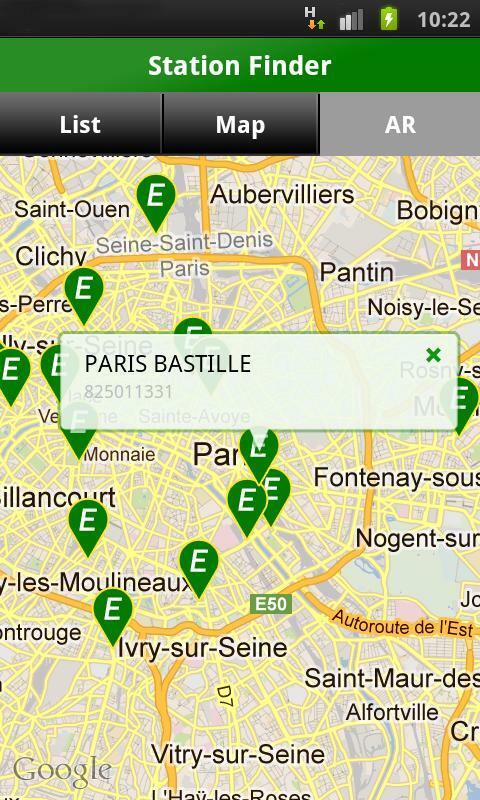 The Europcar app is the full package and nothing has been left out: there are options for locating stations, getting help and support, booking vehicles and managing reservations... In short: the app is pretty much everything we'd want it to be—and then some! A few details would benefit from improvements and grooming. For instance, on the Galaxy Nexus the menu button is always displayed even when nothing is happening within the app. Also, the design of the app's features is not coherent and the app looks different overall from one chapter to the next. 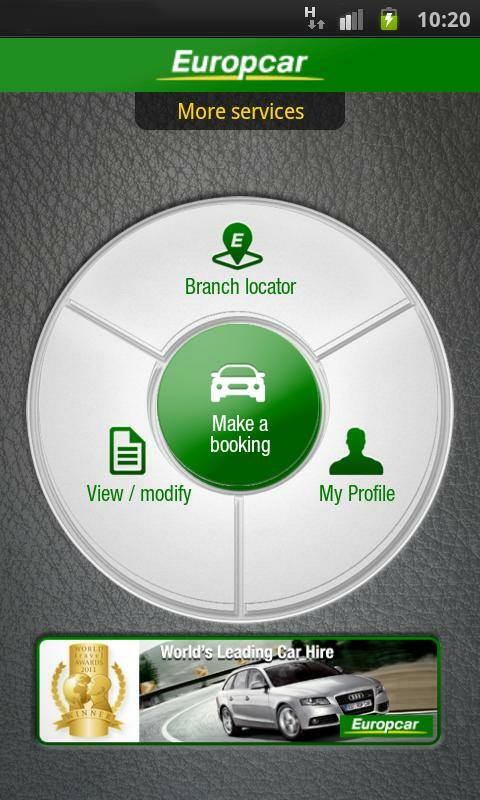 Aside from this the Europcar app is well made and controls are flawless. We didn't experience any crashing or other issues with the Europcar app's stability. That said, scrolling through lists (be it country or car selection) could and should be smoother. We tested the app on the Galaxy Nexus, a high performance device, and found scrolling to be lumpy at times. Aside from this minor glitch everything else runs smoothly enough. The Europcar app is free both of charge and of ad banners and can be found in the AndroidPIT App Center as well as Google Play Store, and we have found this app to be very useful indeed.